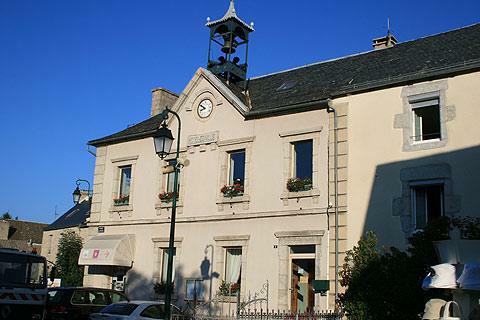 Aumont-Aubrac is a small town in the Aubrac region of the Lozère valley (Languedoc-Roussillon) close to the A75 motorway which travels north to south through central France. 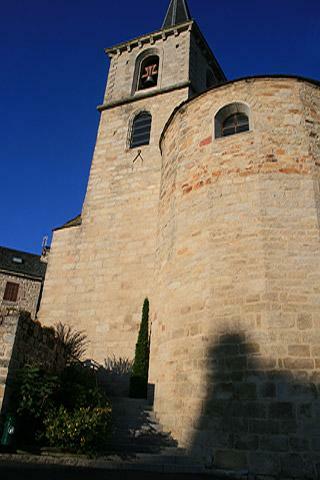 The town is also an etape, or stage, on the 'great Pilgrim Way', the pilgrim route that leads to Saint-Jacques de Compostelle (north-west Spain). As a result the town is a useful stopping town for both motorists and also for pilgrims, and has a number of hotels and restaurants. 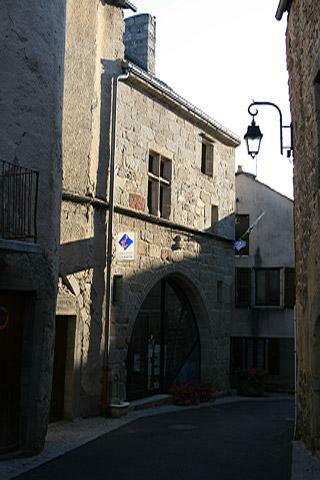 Aumont-Aubrac is officially listed as a 'Village Etape' ie a place recommended to break a journey. The town does not have a great deal of important monuments to see, but there is a small medieval centre with some 16th century houses to see, some featuring interesting historical carvings, that is pleasant to explore. 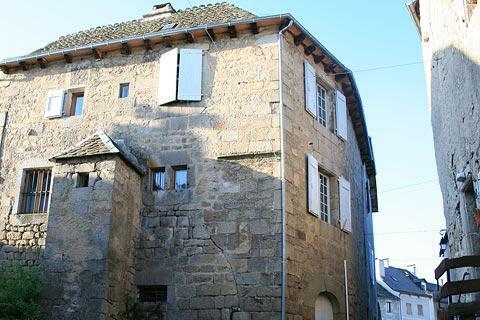 Among the buildings of interest is the attractive building now housing the Aumont-Aubrac tourist office, which is the old 'Maison de Prieure'. 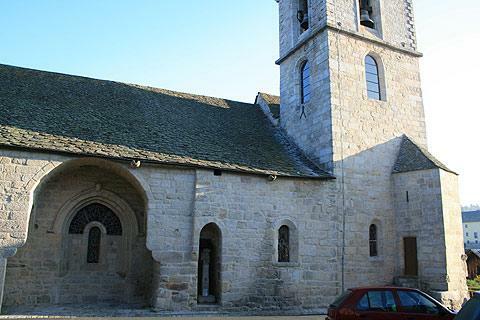 You will also notice the 11th century Church of Saint-Etienne with its large carved shell of Saint Jacques above the doorway and a small part of the fortifications which once defended Aumont-Aubrac. The church has been modified various times across the centuries but has retained parts of its original structure and the arched stone roof and carved stones bring character to the interior. The curious sculpture in the centre of the village (in front of the town hall) that looks like a cross between a wolf and a dragon represents the 'Gevaudan wolf', a wolf (or perhaps a man in disguise) that once terrorised the region. If you are passing through, I can particularly recommend the hotel Chez Camillou which has very comfortable, reasonably priced rooms and a really excellent restaurant. Although it is true that most visitors are en-route elsewhere, numerous opportuities for outdoor activities can be found in the attractive scenery of the hills around Aumont-Aubrac, with mountain biking and walking the most popular.